Most people with Parkinson’s disease (PD) will experience changes in speech, voice and swallowing at some point during the course of the disease. The same Parkinson’s Disease symptoms that occur in the muscles of the body – tremor, stiffness and slow movement – can occur in the muscles used in speaking and swallowing. It is estimated that about 50% of people with Parkinson’s Disease will experience changes in speech and voice. This is called a hypokinetic dysarthria. These changes usually come on gradually and can vary from mild to severe. Hypokinetic Dysarthria can affect patient’s ability to participate in the community. 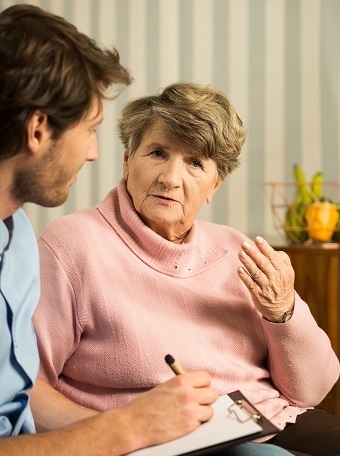 People with Parkinson’s disease highly benefit from early speech pathology assessment and intervention so that their communication and swallowing can be monitored and treated throughout the progression of their disease. Therapy may include speech therapy such as completing Lee Silverman Voice Technique (LSVT) with a certified clinician or providing ongoing recommendations such as modifying diets, prescribing exercises and utilising strategies to improve swallowing. Give any of these services or clinicians a call if you’d like to hear more about how they can help your patients with Parkinson’s Disease!